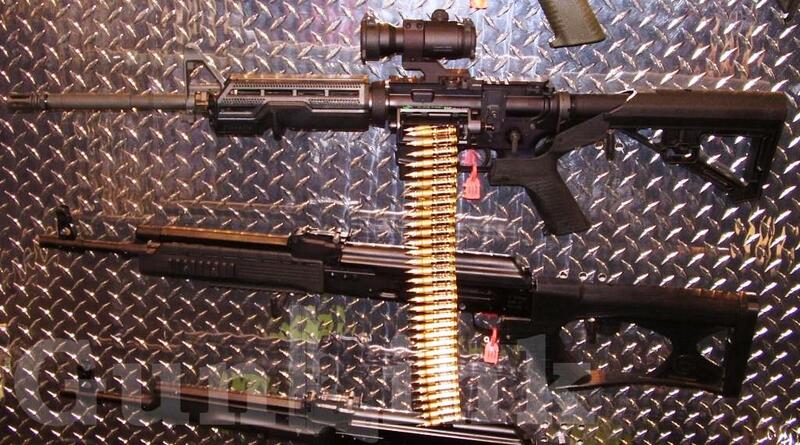 At last year’s SHOT Show, we had a chance to get hands-on with several of Slide Fire Solutions’ polymer bump-fire stocks for AK and AR pattern rifles. Bump-fire stocks make it super-easy to blow through mountains of ammunition before you can say “ammunition is out of stock pretty much everywhere.” The Slide Fire offerings at this year’s show are largely unchanged with a few notable exceptions. One new item is a new ergonomic AR hand-guard (shown here on the BFR) that should help to make using the bump-fire system faster and more controllable. They’re also working on bump fire stocks specifically for Saigas and .308 caliber AR-style rifles. Also at this year’s SHOT Show Media Day at the Range were the competing DefendAR-15 and Bumpski bump-fire stocks from Fostech Outdoors. These billet aluminum stocks feel like they would take a good bit of abuse (although this feature didn’t make handling any more comfortable at the bitterly-cold range day). As such, they command a slightly higher price at $450-$500 compared with the $300-$370 polymer offerings from Slide Fire. Both companies are also offering bump-fire options for the ubiquitous Ruger 10/22. The $700 Fostech Springless AA2 is available to order from their website. 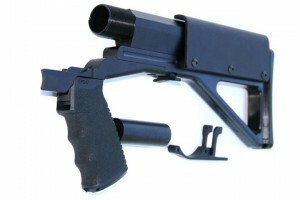 The Slide Fire 10/22 kit shown at SHOT, which looks a bit more involved than the drop-in Fostech unit, should be for sale soon and in shooters’ hands by mid-spring 2013. No set MSRP was available, but Slide Fire reps mentioned that they would likely try to keep the price on par with their current $300-400 line. 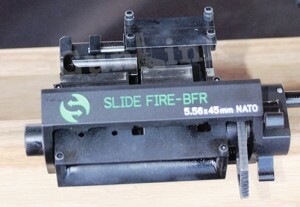 Another hot item from Slide Fire is their new Belt Fed Rifle (BFR). With current plans calling for it to be sold as a complete rifle due to required modifications to the upper- and lower-receivers, the Belt Feed System (BFS) allows users to enjoy a belt fed AR-15. This is still a work in progress, so details were pretty sparse. We didn’t have a chance to get behind the trigger of the BFR, but we did get to see a live-fire demonstration and it really looked like a blast! If you’ve got a compatible rifle and a pile of ammo that needs to be shot up, these two companies are offering some great options to help you separate brass from lead as quickly as legally possible without needing an ATF tax stamp.